Champion, Julie and Nicolas Liucci-Goutnikov. Jeff Koons: La Retrospective: The Portfolio of the Exhibition. France: Centre Pompidou, 2014, p. 26. Champion, Julie and Caroline Edde. Jeff Koons: La Retrospective: The Album of the Exhibition. Exh. cat., Belgium: Centre Pompidou, 2014, p. 8. Modern Art Museum of Fort Worth. 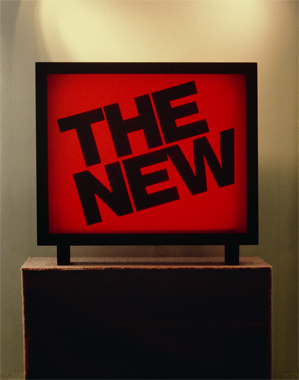 Urban Theater: New York Art in the 1980s. Exh. cat., Modern Art Museum of Fort Worth, 9/21/14 - 1/4/2015. China: Skira Rizzoli Publications, 2014, p. 26-7 (installation view, The New Museum, New York, 1980). Moltisanto, Christophe. “Un Bonheur communicatif.” Beaux Arts Magazine December, 2014, p. 22. Ordovas, Pilar, ed. Self: Bacon, Hirst, Koons, Picasso. Exh. cat., Ordovas Uckfield, England: Ordovas, 2014, p. 48. Moderna Museet. Sculpture After Sculpture: Fritsch/Koons/Ray. Exh. cat., Ostfildern: Hatje Cantz, 2014 [Texts by Jack Bankowsky, Thomas E. Crow, Nicholas Cullinan, Made Great, conversation between Michael Fried, Isabelle Graw, Michelle Kuo, Charles Ray, Scott Rothkopf], p. 65 (installation view, The New Museum, New York, 1980). Faris, Jaimey Hamilton. UNCOMMON GOODS. Chicago: Intellect Ltd., 2013, p. 34-37. Kölle, Brigitte and Stiftung Kunstsammlung. Es geht voran: Kunst der 80er. Eine Düsseldorfer Perspektive. Munich: Prestel Verlag, 2010, p. 42, illustrated in color (installation view, The New Museum, New York). Holzwarth, Hans Werner, ed. Jeff Koons. Cologne, 2008, p. 107, illustrated in color (installation view). Museo Archeologico Nazionale. Jeff Koons. Exh. cat., Naples, p. 28-29, illustrated in color (installation view, The New Museum, New York, 1980). Kunsthaus Bielefeld. Jeff Koons: Pictures 1980 - 2002. Exh. cat., 2002, p. 17, illustrated in color (installation view). Muthesius, Angelika, ed. Jeff Koons. 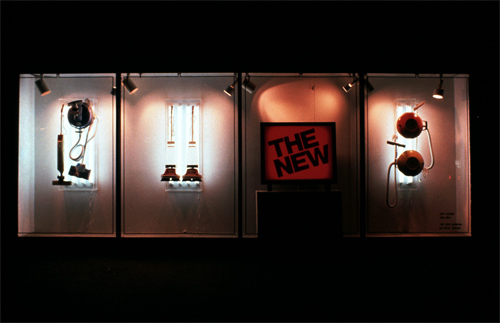 Cologne, 1992, p. 42, illustrated in color (installation view, The New Museum, New York).